The location of this cemetery, on Canal Street spanning to Banks Street, is in close proximity to Cypress Grove and St. Patrick Cemeteries. It is no longer easy to view from Canal, however, due to the addition of an oil station and large flower shop that have been built in front of it. This graveyard houses thousands of the indigent dead who died in Charity Hospital. In the span of four days in September of 1847, Charity Hospital Cemetery obtained the corpses of 87 persons, the main cause of death being yellow fever. When the new Charity Hospital was constructed in 1937, earth from the digging for foundations was transported to the hospital cemetery, allowing the level of the land to be raised several feet. This allowed to graves to be safe from flooding. 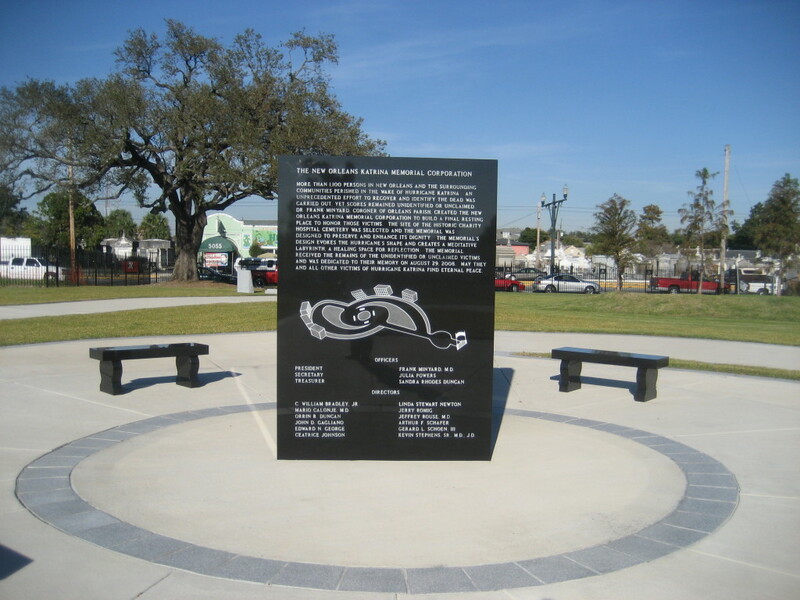 The Katrina Memorial was built on the site of this hospital in 2007.